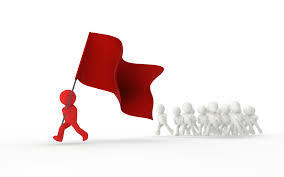 Red flags go up over #58-60 Main Avenue. We have just received an OPRA (Open Public Records Act) copy of the Site Plan application for “60 Main Street” from the Neptune Township office of the Zoning Board of Adjustment/Planning Board, and the application contains so many questionable entries, that it raises a number of red flags. Below are some of the issues that we have noticed and we wonder if Neptune Township will approve this application and pass it onto one of their two boards. Currently it is not on the agenda for the next Zoning Board of Adjustment meeting. The checklist says that the application will not be deemed complete until full plans are available. 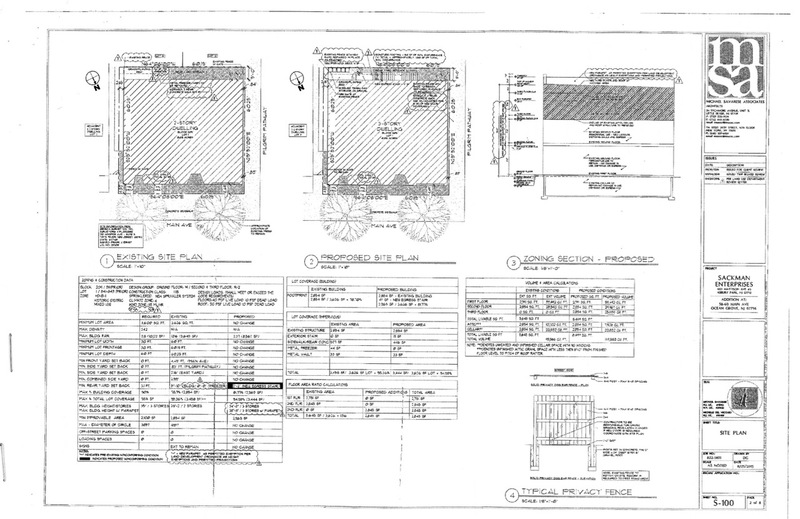 It’s hard to believe that this sketch represents “full plans.” Click on the plan to get a closer look. —–The street name is wrong. They call it “Main Street.” Also, the block and lot numbers are wrong—based on the old tax map. They need to use the new tax map. Surely they ought to be able to get such basic information straight. —–A “traffic analysis report and recommendations from a qualified traffic engineer” is required. There is none at this time, and such an analysis should include parking. —–They are applying to the Planning Board because they say that no major site use variances are needed. But how about the one that would enable construction of that third floor? This application probably should go to the Board of Adjustment. And how about the use variance to sell new units as condominiums? —Who is the applicant and who is the owner? It says that they are one and the same (same signature on both lines.) The “property owner” is Linus Holding Corp from NYC with Carter Sackman listed as the President. And their email address says Sackman.com. And if Linus is the “property owner,” why don’t they also name the Ocean Grove Camp Meeting Association as the owner of the land? Doesn’t the CMA own the land any longer? —-How tall will this building be? The application (pg 11) says that the existing height of the building is 28′ 2″ (2 stories); the proposed building will be 3 stories and 34′ 8″ high. So, how can the third story be only 6 1/2 feet high? Won’t major demolition involving the entire building be required? Major demolition is not permitted by the HPC when a building is not distressed in the Historic District. The developers would need a demolition permit and use variances—not a job for the Planning Board. —-The developers are asking for 3 bulk variances including one to remove the requirement for keeping the garbage pails in the back. Where will they go—in the front? These are some of the questions being raised after review of this “Site Plan.” We will continue keeping an eye on this situation. DON McLEAN ——Isn’t it time for us to fight back against the “castles in the air” syndrome in OceanGrove. We hope to be a historic town not some gentrified nightmare. Where is the Camp Meeting Association as things like this happen? If I owned the land, then I would surely have a very keen interest in what happens on that land and would exercise my authority (if it exists) to regulate what is built. Although I have owned a home in OG for 11 years, I am far from an expert on issues such as these. With that said, can we draw any other conclusion aside from the assumption that the OGCMA is on board with many of the structures that seem out of place here? Is the rent the OGCMA charges on the land substantially higher for these multi-story, multi-use, and/or condo buildings? If so, should we assume that the OGCMA’s financial state dictate that it now needs to back these projects that, presumably, provide it greater revenue? If not, why else would the landowner allow these things to be constructed? These are honest questions on my part, but my honest opinion is that I don’t believe the OGCMA would have any reason to tacitly support such development unless it stands to benefit financially. Chris: It is clear that the actions of the Township is to find ways to continue to circumvent the law to permit as many condos as possible. Come on now, have you ever known the OGCMA to care about anything about the community? And yes, the land lease charges are substantially higher for new condos—a definite incentive for the CMA to support more condos in OG. Paul, as I have previously given you information regarding 58-60 Main saga, I have also read information regarding lawsuits against Carter Sackman and read past articles about Carter Sackman…it seems like Sackman is notorious for getting zoning ordinances changed to favor his development projects. This is old hat for him. Chris Carlucci – As the Dr. noted, the CMA is focused on its mission. And like any other non-profit, it’s primary mission is to secure funding for its various others missions. As noted, the land lease fees for new properties are much higher than they are for older homes. New construction, regardless of density, is good for the CMA…and the more, the better. Pretty certain that a large majority of the members of the CMA Board of Trustees are not OG residents. 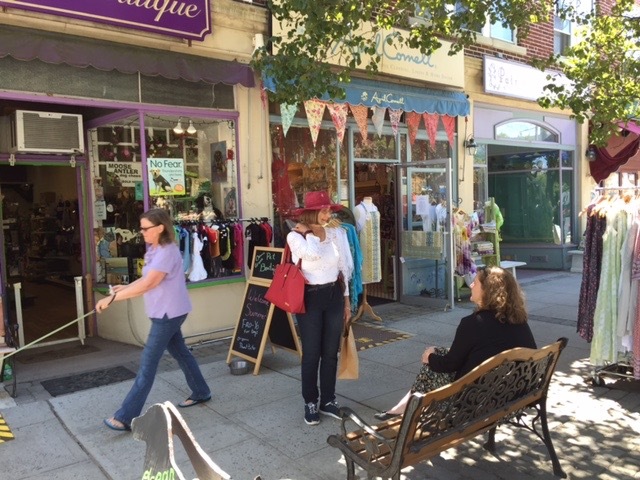 Lack of parking and changing the nature of our community are not big concerns for them. One day we will all wake up and see an entirely different Ocean Grove and many will lament ‘How the heck did this happen?’ Why didn’t someone do something? I have seen this movie before, and it has a sad ending for those who want to preserve Ocean Grove. It also has a happy ending for some. The bad guys win, and the developers leave town with their suitcases filled with money. Well, I’m wondering if this is because in between the ceiling and roof of the building there is about 5-6 feet? I mentioned this in the other article comments, but there are old style skylights/roof lanterns in each apartment where light pours in. Still, they shouldn’t be making this three stories. The overkill on the other side of the block is enough already. Former Resident, it’s not about the number of stories, it’s about the additional cars to be parked on the streets. Some if us have noticed that we are out of room, especially at that location on Main Ave.
Jack: Oh, no. I know that. Sorry, if I wasn’t specific. The parking situation was always out of control. Imagine each resident having two!